Our January laptop tests have uncovered multiple new Best Buys from two big brands as no fewer than 11 new models make it back from our labs. We’ve already revealed that the popular Asus X751 became a Don’t Buy laptop, highlighting the danger of shopping without doing your research. Fortunately, we now have some new excellent models to recommend that have done well enough to become Best Buys. Short on time? Find the perfect laptop for your needs in three simple steps with our laptop finder tool. We tested four laptops under £350 in January, with three big brands tussling for budget honours. This is Lenovo’s cheapest laptop. It has an 11-inch laptop and is powered by an Intel Celeron processor. There’s a reasonably generous 4GB of Ram, and it weighs in at just 1.1kg. From those specifications it’s obvious it won’t set the world alight with its speed, but if you’re looking for a cheap writing machine, it could be just the ticket. We’ve seen sub-£200 laptops achieve greatness in the past, and our current highest-scorer is one we’d happily recommend. Read our full Lenovo IdeaPad S130 review for the full picture. HP Stream 14, £329: A budget 14-inch laptop from HP’s popular range of basic PCs. HP 11v-001n Chromebook, £180: A tiny 11-inch Chromebook with basic specifications but a very low price. 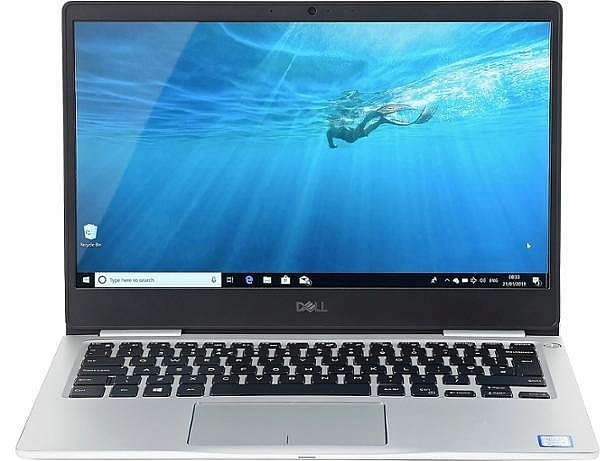 Dell Inspiron Chromebook 11 3181, £279: A pricier Chromebook with a slightly rugged design for the rigours of daily life. We’ve looked at four laptops between £350 and £800 this month, including models from Dell, Asus and Lenovo. 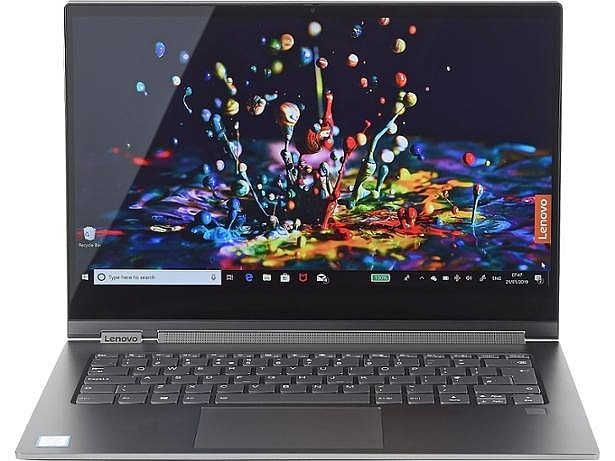 This 13-inch Ultrabook matches (and even beats) the likes of the £979 Microsoft Surface Laptop 2 in terms of specifications, packing a quad-core Intel Core i5 processor, 8GB of storage and a 256GB SSD. We’ve see time and time again that cutting costs doesn’t necessarily equate to better value, but the spec list still looks very promising. Read our full Dell Inspiron 13 7380 review to find out whether it can live up to that promise. Asus NovaGo, £700: This 4G-connected 2-in-1 laptop comes with 24GB of data for a year after purchase, with a processor more commonly found on high-end smartphones. Could it be the ultimate on-the-go solution? Dell Inspiron 15 7580, £799: A high-end laptop with a dedicated graphics card that should assist with gaming. 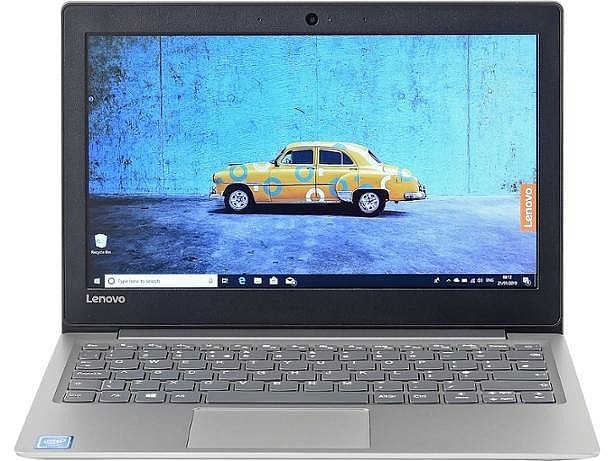 Lenovo IdeaPad 330-14AST, £429: A mid-range laptop with an AMD A6 processor that could be ideal for anyone looking for a compact laptop with enough performance to do basic work tasks. We also tested a pair of premium laptops, both of which fill different niches with their design and specifications. Lenovo Yoga laptops are part of its popular 2-in-1 series, which includes models with flexible screens that allow them to be used as tablets. This model is from the very top of the range and features a quad-core Intel Core i5 processor and 8GB of Ram. It also comes with a touchscreen stylus, which is stored and charged inside a dedicated slot built into the laptop. Find out whether it’s worth the cash in our full Lenovo Yoga C930 review. Acer Aspire 7 A717-72G, £1,299: This behemoth laptop features a dedicated graphics card for gaming, and a 17-inch screen to take it all in. 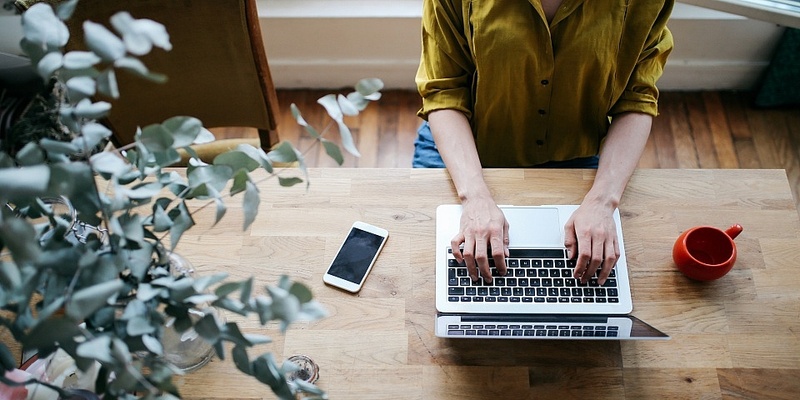 Do you need to pay more for a good laptop? 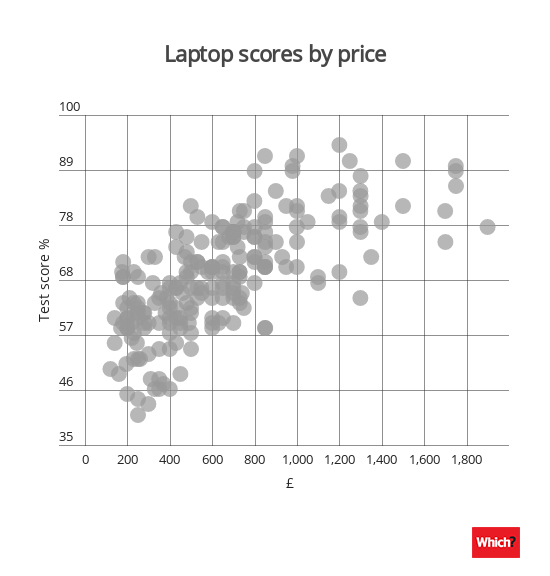 Our laptop tests have found Best Buys at all price points over the years, as well as middling devices that cost far more than you’d expect. While the data below suggests that spending more gets you a better overall product, it’s not simply a case of spending to guarantee a great result. What you do get when you pay more is a laptop that’s more powerful, with a better processor, more Ram and an SSD. This means it’s faster, but speed only forms a part of our final score. Usability, build quality, sound and screen quality all play their part. While paying more increases your likelihood of getting a decent machine, there will always be diamonds in the rough. Plus we’ve seen sub-£500 laptops perform well enough to achieve Best Buy status, even if their processors mean they’re not the fastest around. It’s easy to filter our laptop reviews to help you find the perfect model, whatever your budget, or if you need more help or buying advice read our guide on how to buy the best laptop.